A Marine corporal said Marines in his unit began routinely beating Iraqis after officers ordered them to "crank up the violence level," the Los Angeles Times reported. "We were told to crank up the violence level," the newspaper quoted Lopezromo as saying in testimony for the defense. Weeks after allegedly being criticized by officers for not being tough enough, seven Marines and a Navy corpsman went out late one night to find and kill a suspected insurgent in the village of Hamandiya near the Abu Ghraib prison. The Marines and corpsman were from 2nd Platoon, Kilo Company, 3rd Battalion, 5th Regiment. "I don't see it as an execution, sir," he told the judge, according to the newspaper. "I see it as killing the enemy." 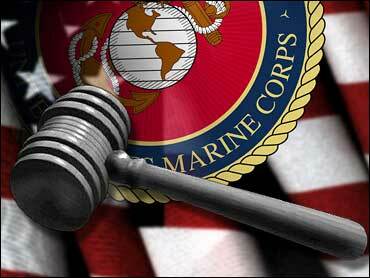 The jury comprises three officers and six enlisted personnel, all of whom have served in Iraq. The trial was set to resume Monday.